Oregon has 86 designated opportunity zones, including 81 low-income communities, plus 5 non-low-income contiguous tracts. Statewide, the large majority of Oregon’s census tracts are urban; just 21 percent are located in rural areas. 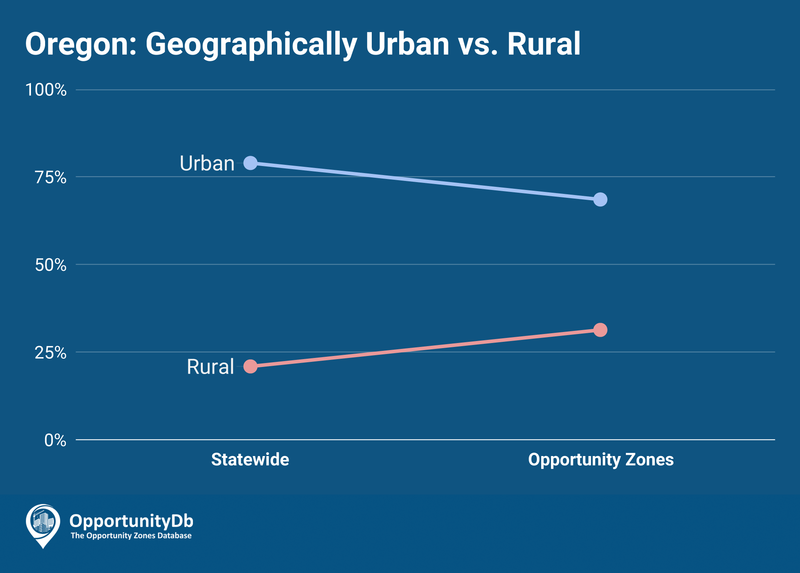 But 31 percent of Oregon’s opportunity zones are rural. In Multnomah County — home to Portland — are 17 of the state’s 86 opportunity zones.